Axon Partners provides quality legal services with a unique approach. We work how truly modern professionals carry out their own business: humane, creative and making the most of technology. We follow a simple philosophy: creativity is the key to innovation. We gave up on the conservative corporate hierarchy, replacing it with dedication and devotion. Every single member of our team is a self-sufficient, creative unit, providing his/her unique input into the overall result. We do exactly what we’re passionate about and we are truly engaged in our work. As a result, we do not work “for” the client, we work together with our clients. Among our clients you will find all types of tech companies: big and small IT companies, tech startups, online marketplaces and services, gamedev studios, musicians and producers, production studios and movie directors, designers, photographers and other members of the creative class. We are proud to call great companies such as BlaBlaCar, Innovecs, TripMyDream, Datas, Kuna Bitcoin Agency, DOU, Grossum,rabota.ua, Wishround, MLSDev, Clickky, Confidence, Gera-IT, ISM e-Company, Visco, Yalantis, Vitagramma, Stanfy, Rialto, Vertamedia, InvisibleCRM, Heliclub, 908.vc, MyHelix, Ecois.me, and ProZorro our partners. Axon Partners heads the legal committee of the Lviv IT Cluster, is a member of Bitcoin Foundation Ukraine and represents Ukraine in the European Legal Tech Association (ELTA). 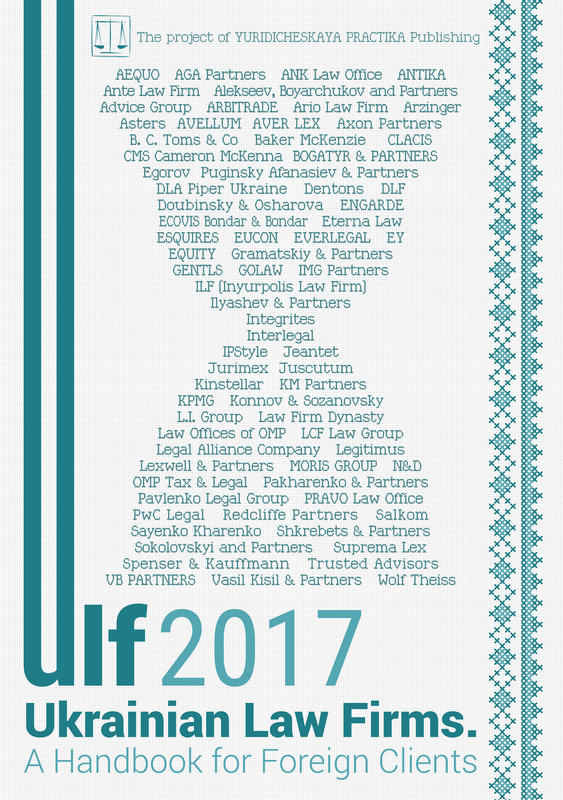 Partners of the company have been ranked in the Top-5 Best Lawyers in IT, Telecom and Media according to the all-Ukrainian study The Choice of Clients 2017 and named an excellent, forward-thinking legal practice in Intellectual Property by Legal 500 EMEA in 2017. The firm has been shortlisted for The Lawyer Business Leadership Awards 2016 in two categories, namely Best agile working initiative and Innovation in project management. As a responsible member of society, our team holds a variety of university courses in Ukraine (e.g. National University of Kyiv-Mohyla Academy, Kyiv University of Law of National Academy of Science of Ukraine, Kyiv National Economic University and Kharkiv National University of Radio Electronics), conducts online courses for entrepreneurs on the Prometheus web platform, and advises tech startups for free each Friday. We dare to be different, we dare to be ourselves. In 2016 the index of Internet penetration in Ukraine reached 62%1, while in the largest Ukrainian cities this index reaches 70% — an average for the majority of European countries. Nevertheless, the Internet industry landscape is still more of a hotchpotch, where large telecom companies and gigantic (in the scale of Ukraine, at least) international e-commerce projects work side by side with rather small companies, startups and traditional businesses, exploring the possibilities of going more digital. It is a safe bet to say that Internet-related businesses in Ukraine grew in 2016. Some of the highlights are: the launch of Uber and its Russian competitor Yandex.Taxi, the acquisition of Aukro marketplace by Prom.ua, Netflix entered the Ukrainian market, while local streaming service Megogo has indicated 5-fold growth in paid services. The year 2016 also become a year when FS.to and Ex.ua, the websites often accused of streaming illegal content, voluntarily closed. However, obstacles for the market remain in areas of Internet infrastructure development, lack of e-commerce regulation, unclear perspectives of cyber security measures, as well as constant risk of pressure from the police, tax and regulatory authorities. Those Ukrainian businesses aiming to access foreign markets now face a portion of new regulations to comply with as well. Below we address the issues, which may come under the spotlight of the Ukrainian Internet business. The blocking of infringing content and websites is not a new topic at all. It has been discussed for several years, especially upon publishing of U.S. Trade Representative Special 301 Report where Ukraine is traditionally watch listed as a “pirate” country. While most of the market players involved do understand the need for copyright protection, there are significant differences in views on the mechanism to be implemented. For instance, Draft Law No. 3081-d On Support of Cinematography, supported by local media holdings, provided for DMCA-like notice-takedown procedure for the infringing content. However, this Draft Law was heavily criticized by Internet services providers (Internet and hosting providers) as well as website owners, who are opposed to non-court based content blocking, as well as a 24-hour notice processing deadline. Moreover, ISPs were disturbed by a high risk of over-blocking and Internet censorship, as well as possible expense of takedown notices processing. As a result, Draft Law No. 3081-d was vetoed by President Poroshenko after it successfully passed the second reading in Parliament. However, a few months after the veto and we are seeing attempts by MPs to get Draft Law No. 3081-d back to the table. Thus, we can predict the tug of war on content blocking this year between ISPs and copyright holders to continue. Another issue, ignored by the current Draft Law On Support of Cinematography is the lack of competence to process the notices on the side of ISPs. Considering the required speed of notice processing, the introduction of a DMCA agent-like mechanism is worth mentioning — it would enable the official assignment of a person or a firm to process takedown requests on behalf of the ISP. Such a solution could possibly prevent over-blocking and would save ISPs from sending the notices back and forth to their in-house or outsource counsels. Moreover, we believe that the original U.S. DMCA agent mechanism is quite underestimated by Ukrainian businesses targeting the U.S. market. Considering no limitations as to the place of residence of a DMCA agent, we see some potential in developing this service in Ukraine too. Another hot topic over the next few years in Ukrainian legislation on the Internet will probably be cybersecurity. Obviously, Ukraine has reasons to take this issue seriously, taking into account Crimea’s annexation and the ongoing war in the East. Moreover, there were a handful of incidents recently which were alleged cyberattacks: an energy company was hacked in Western Ukraine (which left 80,000 people without electricity) in late 2015, while in December 2016 the Ukrainian State Treasury and other Government sites were attacked (resulting in delayed processing of state budget payments). In addition, Ukraine still remains under obligations to implement the Council of Europe Convention On cybercrime of 23 November 2001 (Budapest Convention). In particular, the Budapest Convention requires establishing the respective mechanism of storage and collection of traffic data for the purposes of criminal proceedings on cybercrime. As a result, the National Security and Defense Council (NSDC) approved the Cybersecurity strategy in early 2016, which was followed by Draft Law No. 2126a On the Main Principles of Ensuring Cybersecurity in Ukraine (this Draft is being prepared for its second reading in Parliament). Apart from that, in December 2016 the NSDC approved another resolution, On Threats to State Cybersecurity and Immediate Measures to Neutralize them. Both the Cybersecurity strategy and the December NSDC resolution are about to be enacted by the President. The main concerns of 2017 in this sphere will be the mechanism of website blocking (yes, again), as well as introduction of traffic data storage and access system, which might require ISPs to invest funds in the setting up of one. Another point of risk might be the powers of the Security Service of Ukraine and the police’s cybercrime units, that are prone to broadening in this context. While data remains “the oil of the 21st century”, we are witnessing unprecedented activity in the development of data protection regulations around the world. What is more intriguing is that the EU has been convincing enough to make the U.S. comply with some of the EU requirements on data collection and processing, especially by state authorities — the EU-U.S. Privacy Shield — even though the new Administration in the U.S. might not be happy about it. While joining the Privacy Shield is not mandatory, early birds among our clients have already started the Privacy Shield compliance audit. Considering the close ties of many Ukrainian tech companies with the U.S., we see the Privacy Shield as one of the trending issues for those who deal with E.U. and U.S. customers, service providers or are simply incorporated there. Taking of Ukraine’s data protection rules, we do not expect much of an improvement (unless cybersecurity regulations will offer some novels). On the one hand, the current Law On Personal Data Protection is broad enough to match the core principles of EU data protection legislation. On the other, we still lack a data protection authority that would act to both regulate and oversee the application of best data protection practices. Instead, data protection powers are split between the Ombudsman (shall be notified of each controller of sensitive personal data) and even the State Service of Communication and Information Protection of Ukraine, which manages the CSSI procedures — complex system of information security. The CSSI is a set of technical measures required and to be further certified by the State Service in case of transfer of sensitive personal data, etc. Unfortunately, this system is not at all effective or practical. Moreover, Ukraine lacks the practice of data protection enforcement, which is a significant point of reference in other jurisdictions. In 2015 Ukraine adopted the Law of Ukraine No. 675-VIII On Electronic Commerce in order to catch up with what the market has reached on its own already — it recognized e-commerce as a separate industry, and set out the rules of e-commerce trade, similar to best practices of flagships on this market. Since then, however, little has changed in terms of legislation — it is easy to notice that a more detailed framework should be adopted. For instance, while storing transaction documents in electronic form, as provided under the E-commerce Law, is very convenient, it may still raise nasty attention from the tax authorities due to the lack of a unified legal framework. Some goods are still not available for sale via the Internet (for instance, medicines). There are, as well, attempts to restrict the sale of consumer electronics by requiring sellers to provide the customer with a sales receipt (which is quite expensive for small sellers to maintain). A similar situation exists in trans-border e-commerce — it is likely to grow, unless either (a) the customs exemption for the value of mail up to EUR 150 is lowered or (b) Ukraine adopts Draft Law No. 5419, which provides for national exhaustion of IP rights. Social networks have become a place where not only entertainment and random chatting takes place, but the world of politics is also formed. Luckily, Ukraine is catching up with this trend as well. So when there are fair concerns regarding state regulations — whether those designed to help business or vice versa — there is a good chance that at least the most ridiculous proposals will not be adopted.